Meet Marielle from Aqua Mermaid! You might have seen her Youtube channel but Marielle from Aqua Mermaid is rocking the mermaid world. She recently went on a trip to Dubai as well as Costa Rica! She specializes in training other merfolk into becoming professional mermaids/mermen and starting their own business. Keep reading to learn more about her! I am from Montreal and considered French Canadian. I enjoy filling my day with exciting adventure and meeting new interesting people. I learned to love it in my backyard pool with my mom. I started swimming lesson at 6 months old. Because it makes everyone happy. It is a great fitness activity that makes you feel good and beautiful in your skin. It gave me many opportunities to work as a model I would not have if I was just a regular model. I did the cover of a magazine, I was a mermaid on a TV show, commercial and in many photo shoots. I got my first mermaid tail for Christmas 2015. I started with a fabric tail but I quickly got a silicone tail when I started my mermaid business. My silicone tail was custom made with a dark red to look like a beta fish. My favorite brand is my company called Aquamermaid. Aquamermaid tails are beautiful, resistant and you can get one between 1 to 3 months compare to other brands it takes over a year to get it. They also have sequin tails! People can learn many swimming and breath-holding techniques. I like to teach people how to run a mermaid business including personal branding, marketing, finance, proper equipment, and safety. I have been to Mermania and many Aquamermaid school training around the world. The best part is the photo and video shoot when everyone looks so pretty and pose underwater for the camera. It makes stunning souvenirs. I am a YouTuber and love creating video content for my Aquamermaid youtube channel. Getting rid of plastic bottles and plastic bags. 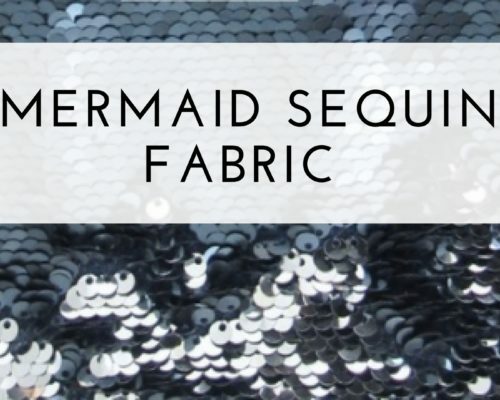 What are your favorite Mermaid theme items or clothing? If you don’t have a mermaid swimming school in your city, Watch online swimming tutorials and start practicing your mermaid swimming skills today. Don’t be shy to ask your questions to other mermaids. Make sure to follow Marielle’s adventures on Social media.